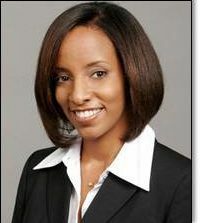 Shawndra Hill is an Assistant Professor in Operations and Information Management at the Wharton School of the University of Pennsylvania. Generally, she studies data mining, machine learning and statistical relational learning and their alignment with business problems. Specifically, she researches the value to companies of mining data on how consumers interact with each other on social media -- for targeted marketing, advertising, health and fraud detection. Her current research focuses on the interactions between TV content and Social Media. Her past and present industry partners include AT&T Labs Research, ClearForest, and Siemens Energy & Automation. Her recent work appears in IEEE Transactions on Data and Knowledge Engineering, Journal of Computational and Graphical Statistics, SIGKDD Explorations, and Statistical Science. Her research is funded in part by the Office of Naval Research, Google, and the National Institutes of Health (NIH). Dr. Hill holds a B.S. in Mathematics from Spelman College, a B.E.E. from the Georgia Institute of Technology and a Ph.D. in Information Systems from NYU's Stern School of Business.